It's time to clean up our server ! Some of you say that we don't have a good english level in some of our newsletter (*)... That's true ! Do you know why ? We are french guys... So we try to do our best, so please apologize some of our errors... (*) concerning our tutorial, majority of them are fine tuned by Loosecannon who provide a great english level ! Because we are living in unsettling times, I would like to suggest that you forget your worries for a moment and enjoy the Christmas holiday by joining the magical world of children to celebrate their annual festival. AVID Studio has been launched on March, 8th 2011. AVID takes the opportunity to offer one full licence to one of our reader (one licence for a french reader, one licence for an english reader). Past and current collaborators of our website are excluded (full list on Who is doing What on declic-video-fx.com website ?, as well as authors of our articles). But who will get this licence, offered by AVID va-t-il offrir cette licence ? 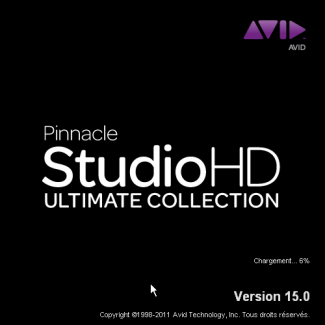 Pinnacle Studio 15: get one free licence ! UPDATE 6th March 2011: one of you will obtain a free Pinnacle Studio 15 licence, thanks to Pinnacle... CONGRATULATIONS !!! Stop looking everywhere for the patches, updates and others user guides! Declic Video is present on Twitter !